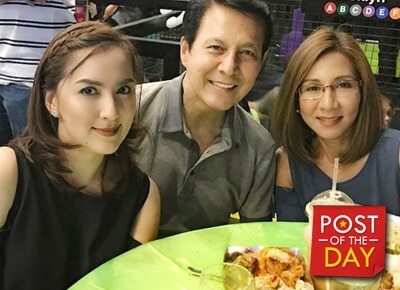 Ara Mina took to Instagram to thank everyone who helped her in her business ventures. Ara successfully launched her own beauty line, shoe line, and a café. The actress turned entrepreneur also said that she’s donating 15% of the profits to her foundation. Her celebrity friends also joined her during the grand launch. “Turning my name into a brand is one of my biggest accomplishments. When I launched Ara's Secret (@arassecret), ang motivation ko was to share my beauty secrets to all of you. You supported me and I am so thankful for that. Overwhelming din ang support ninyo sa Hazelberry Café (@hazelberrycafe) na dinadayo pa talaga ng iba sa inyo. Now, I'm so excited to tell all of you that I am introducing another business venture. I am happy to announce that Ara Shoes is already out!” she wrote.